Easter dinner is usually a traditional dinner of ham and simple sides. At least on our farm, that is the case. That doesn’t mean that we don’t enjoy something different to change things up a bit. This Easter Eggnog is a delightful way to combine a rich holiday drink with the sweetness of chocolate. It’s not too sweet however, using dark chocolate as the base. If you are sharing with your littlest chefs, leave out the chocolate liqueur. Make sure you whisk the egg yolks and liquids well while over the heat so that the eggs don’t curdle. Love the taste of Easter sweet breads? We have a new one that our family loves. 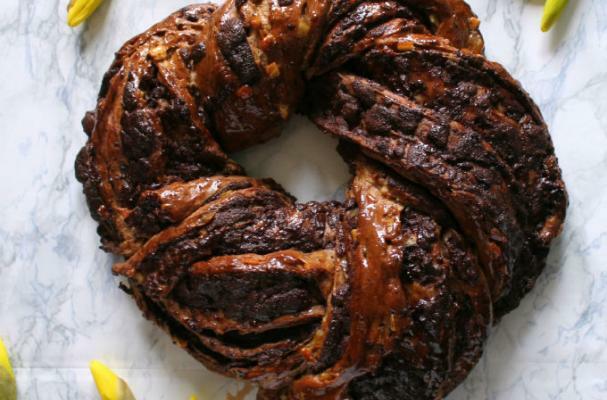 A sweet and spicy bread dough, with the addition of rich chocolate, you have a bread that is different enough to be fun, and tasty enough to become part of your new Easter traditional meal. 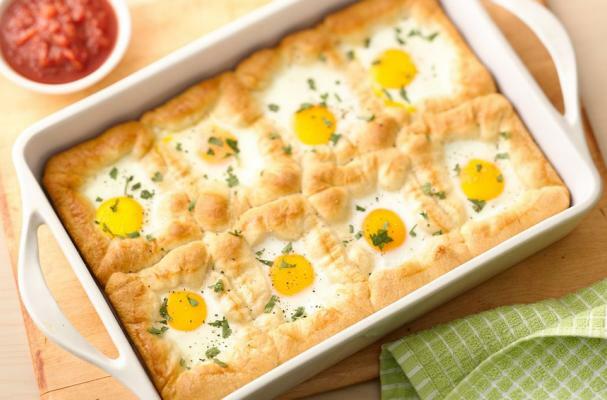 If you enjoy an Easter brunch, this dish will be well appreciated. Light, flaky crescents top this recipe. The spicy chipotle sauce is something you are going to find reasons to make after the holiday weekend. It’s a true winner.